For many Canadians, when Jack Frost arrives they know Santa is just around the corner. Christmas is a very popular holiday full of unique family traditions and religious celebrations, but for the Japanese this is a very new phenomena. It is only in the past few decades that Christmas has been celebrated in Japanese culture, and while they’ve taken to some of the North American customs of exchanging Christmas cards and presents, they’ve also added their own personal touch to the holiday. In Japan, Christmas is about spreading happiness and has even come to have a romantic spin to it; it’s a time to spend with loved ones, so it is very popular amongst couples, (think our Valentine’s Day). Although enjoyed by many, Christmas is not recognized as a national holiday, instead December 23rd is for the Emperor’s Birthday. Over the years, the Japanese have adapted this favourite holiday as their own, creating their own traditions. Fried Chicken has been coined as one the most popular holiday traditions in Japan, making it the busiest time of year for restaurants like KFC. Thanks to the 1974 “Kentucky for Christmas” (and Japan’s lack of turkeys), it all began when ex-pat families flocked to KFC over the holiday’s for their Christmas chicken dinners. Now everyone even goes as far as reserving their chickens ahead of time, and if you think you can just walk-in and grab your chicken, think again. Not reserving your chicken means standing in line for hours to get the traditional meal. 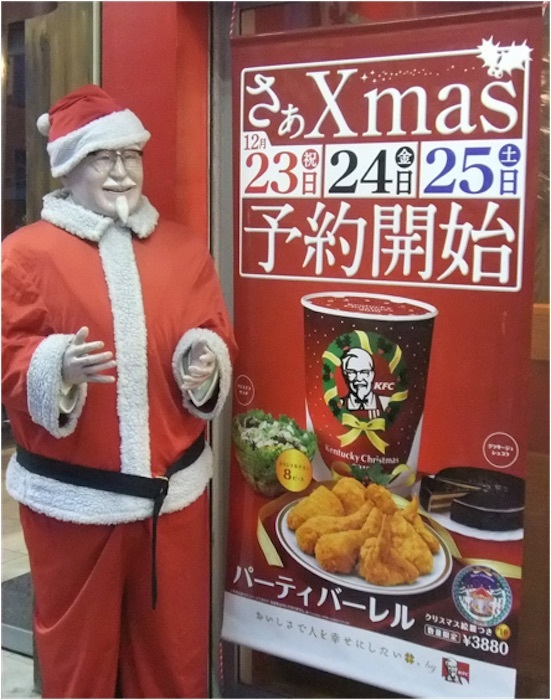 Colonel Sanders has even assumed the role of St. Nick, with many stores dressing the mannequin in Santa’s suit. 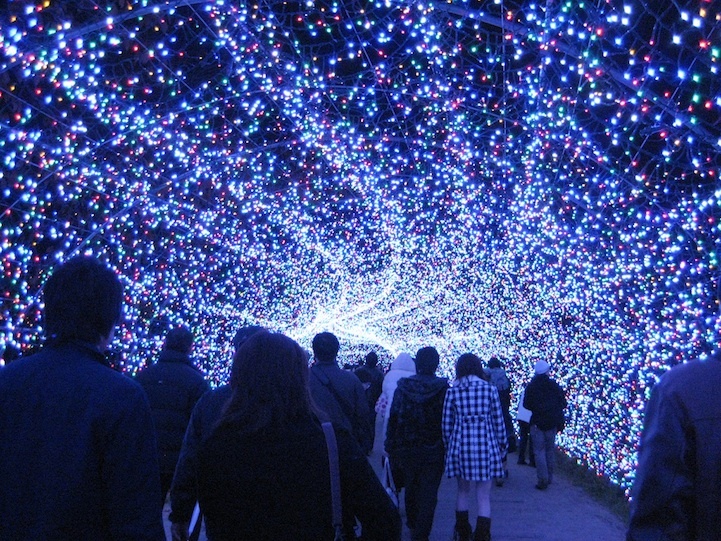 The Japanese have redefined the Christmas light tradition. Lights aren’t just for your home; in Japan shopping malls, restaurants, and other public areas get a little brighter. Everywhere shoppers go they will see these over-the-top (and even tacky) light displays, known as “illuminations.” Gaudy decorations, inflatable Santas, audiovisuals and projections, one can never go too far with their illumination display. Illuminations start taking over streetscapes from late November and can last all the way until Valentine’s Day, (and beyond). Major malls such as Tokyo Midtown and famous landmarks like Tokyo Station have their own unique illuminations, and the posh areas of Omotesando, Ginza, and Roppongi will leave you in awe of their stunning displays. There is no denying the illuminations are expressions of the festive joy the Japanese have for the holiday. 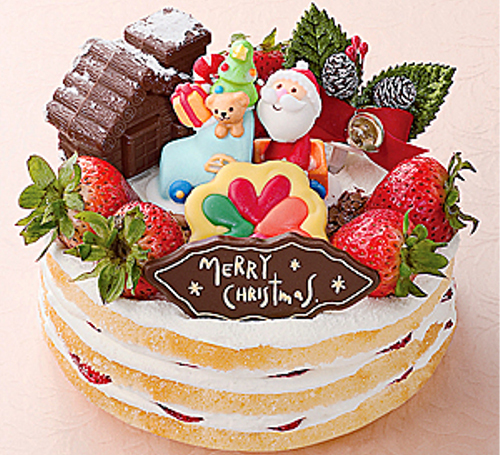 While KFC may be the popular choice for Christmas dinner, the official holiday tradition is cake, more specifically a strawberry shortcake, but really any cake will do! The traditional sponge cake is very light and not too sweet, layered with strawberries and whip cream. One can always forgo the chicken, but never the cake! Like we mentioned, Christmas is the new Valentine’s in Japan, and this means turning up the romance. Christmas Eve is known as the country-wide date night, where couples step-up their fancy and enjoy a night out over dinner and the illumination displays. This is the day where the Japanese crack open their wallets to the materialistic marketing of the holiday. Exchange gifts with caution, as there are high expectations. Single? You’re in luck! Christmas is the best time to date, as singles are on the hunt to find the “one” to spend Christmas Eve with. Forget Santa, love is in the air! No matter what the country, December is a special time for so many around the world! We look forward to so many of Edmonton’s traditions every year: watching a Christmas Carol at the Citadel Theatre, the Nutcracker ballet at the Jubilee, the local craft markets, and cozying up with a steaming bowl of ramen after skating of course! 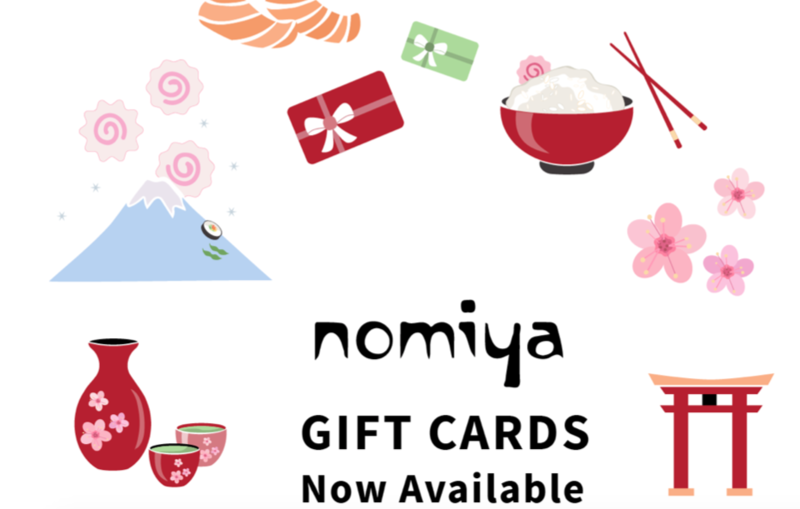 Make Nomiya a part of your holiday traditions and join us for an authentic Japanese meal this season or give a Nomiya gift card to a friend or loved one!